Sammons Preston Rolyan Palm Shield, Right - Model A812402 by Sammons Preston Rolyan at Get Cheap Health Insurance. MPN: A812402. Hurry! Limited time offer. Offer valid only while supplies last. 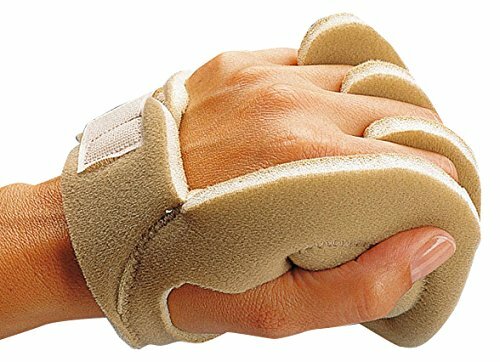 Helps prevent finger contractures and skin breakdown in the palm of severely tight hand. Large thumb piece provides excellent thumb positioning. If you have any questions about this product by Sammons Preston Rolyan, contact us by completing and submitting the form below. If you are looking for a specif part number, please include it with your message.